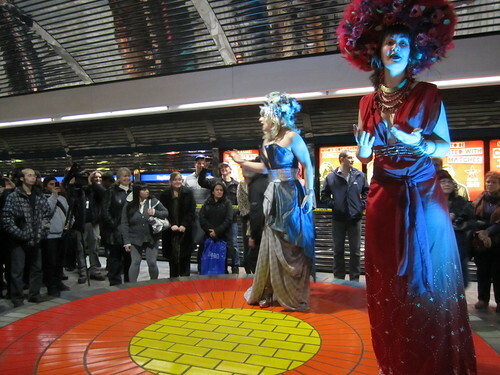 Mercury Opera took over the Bay/Enterprise Square LRT Station tonight to stage an operascape featuring the talents of Alicia Woynarski, Lauren Woods, Jill Hoogewoonink, and Nevada Collins. 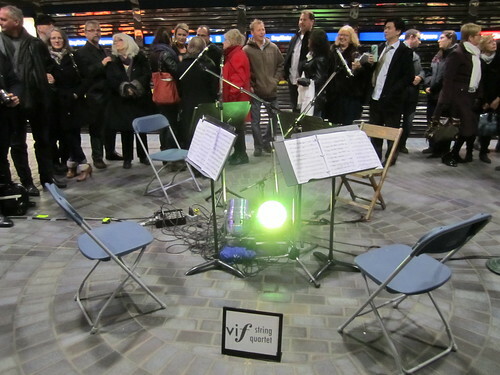 They were accompanied by the Vif String Quartet and wore costumes by local fashion designer Natasha Lazarovic. Mercury Opera’s presentation features an all-Canadian cast of rising operatic talent singing the sensual Mon coeur s’ouvre from Camille Saint Saens’ Samson et Dalila, The Queen of the Night’s Vengeance Aria, Mozart’s dazzler from The Magic Flute, and the exquisitely sublime Flower Duet from Lakme by Delibes. The performance culminates in a special rendition of one of opera’s favorite chart toppers,Puccini’s Nessun Dorma sung as a quartet. 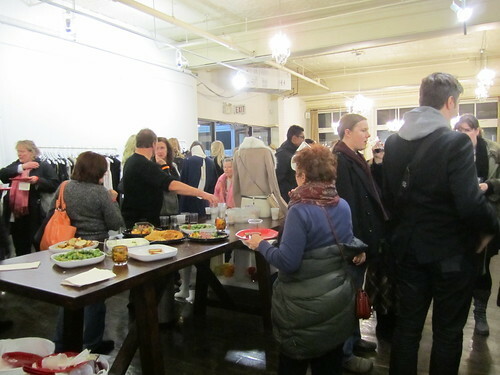 The event got underway at 6pm with four businesses on 104 Street taking part. 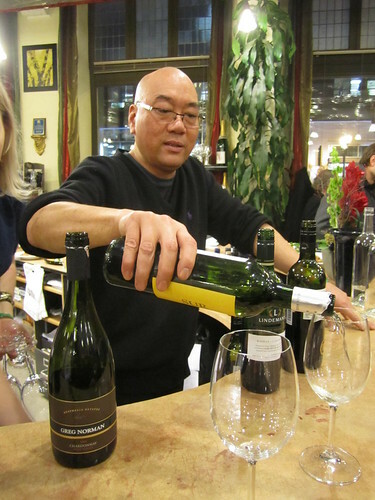 Ticket holders were invited to enjoy light refreshments at Coup, 29 Armstrong, deVine Wines & Spirits, and the Eyecare Group. Sharon and I walked over just after 7pm to find Coup full of people! 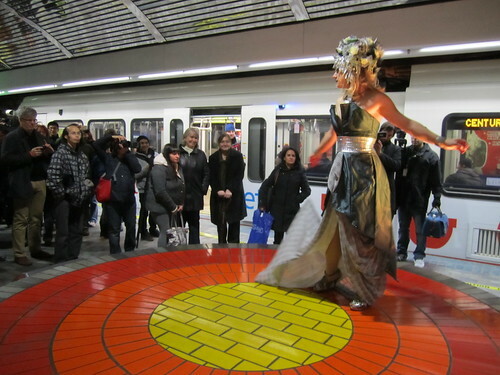 We made our way from one venue to the next before heading down to the LRT station platform for the performance. 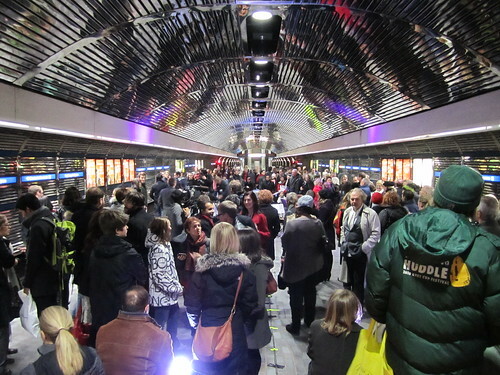 At around 8pm, everyone started moving underground. 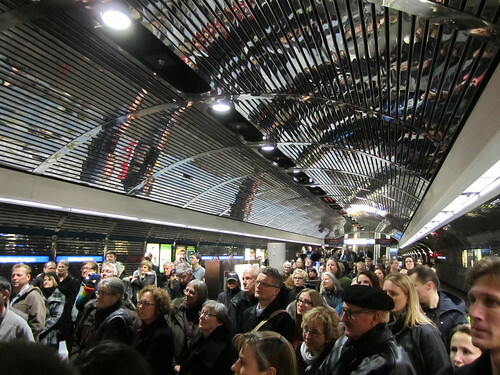 It was quite a sight with the LRT station platform so full of people! There were dozens of cameras, and not only from patrons hoping to capture the performance – OMNI had a bunch of cameras present to film a documentary about the event. 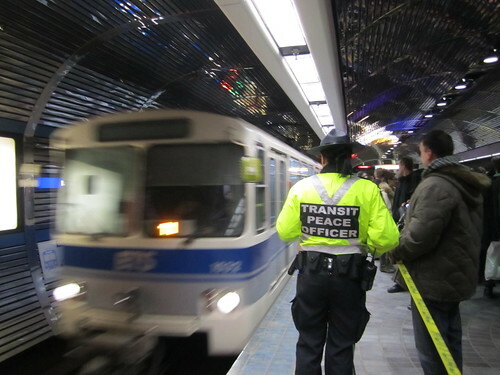 To ensure the LRT could still operate, volunteers used police tape to separate the event from transit riders getting on and off the trains. ETS officers also helped to keep traffic flowing smoothly. 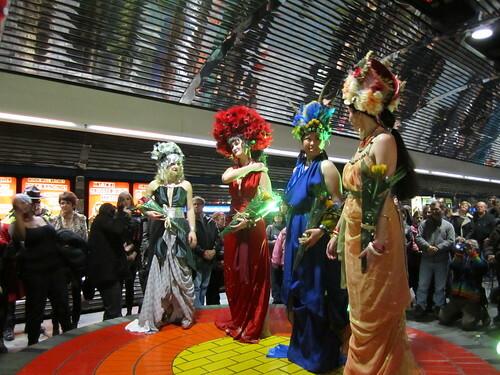 The performers arrived on the LRT! There were big cheers when the train carrying the performers arrived. They wasted no time and started right away, eventually making their way to the circular benches in the centre of the platform. At the end of the show, the four performers came together to receive flowers and to perform an encore. The left the same way they came – on the train. It was particularly cool for a transit geek like me to see the trains coming and going in the background as the performance continued. And what a performance it was! 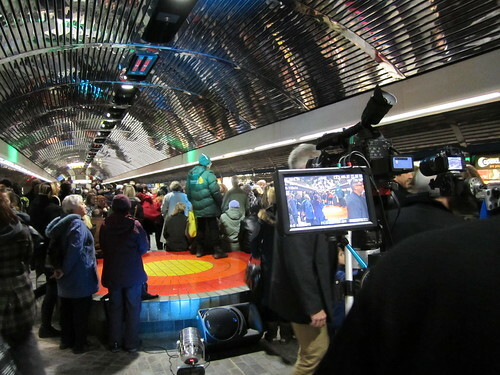 The sound quality in the station was much better than I anticipated, and the lighting and reflective surfaces of the station walls and ceiling made for a very unique look. I think everyone really enjoyed it! 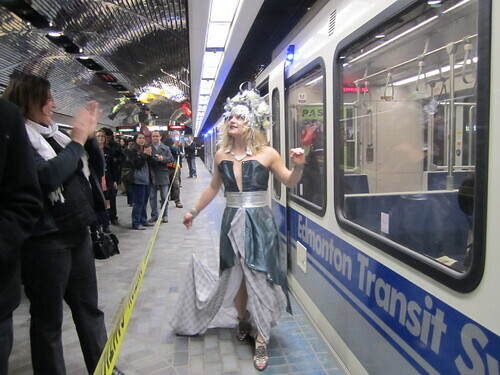 Tonight’s operascape is precisely the kind of event that I’d like to see more of in Edmonton. 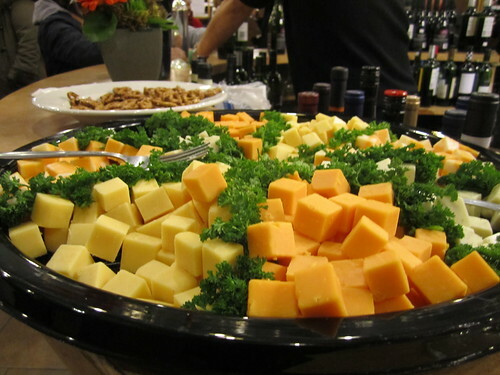 Congratulations to Darcia Parada and her team – I think its safe to say tonight was a big success! It’s so great to have people like Darcia – she had a vision, and she made it happen. Bravo! You can see the rest of my photos here. Be sure to read Gig City’s preview as well.